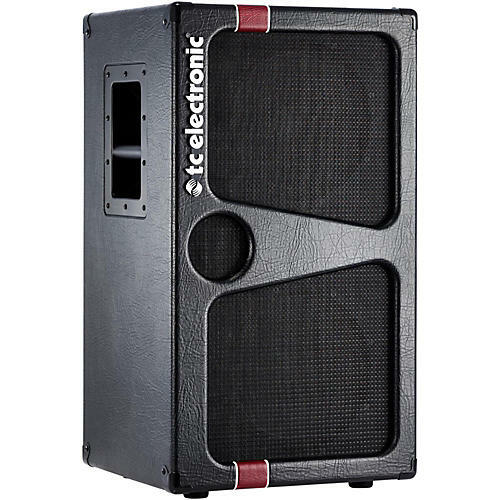 TC Electronic's new K210 2x10" 400W bass cabinet doesn't just look the part, it also sounds it. Behind the awesome vintage-vibed exterior you'll find two custom-made 10" drivers and a 1" ceramic tweeter that are sure to bring all the punch, clarity and low-end roar you could ever want for your bass tone. With an 8 Ohm impedance, 400W power handling and a weight of only 20 kg/44 lbs., this cabinet is truly built with the modern bass player in mind.